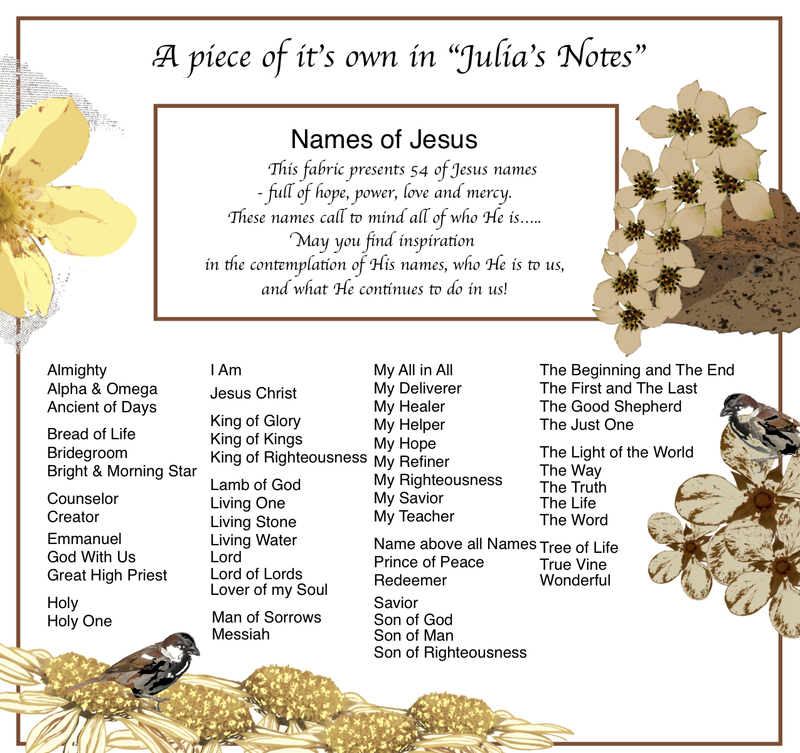 The List of Names of Jesus on the Fabric in Julia’s Notes – Petals Fair is about fabric designing, quilting, Christian faith, family and other musings!! Amazing descriptive titles for Jesus which say who He is to us! There are 55 Names on the fabric – each one is from the Bible.